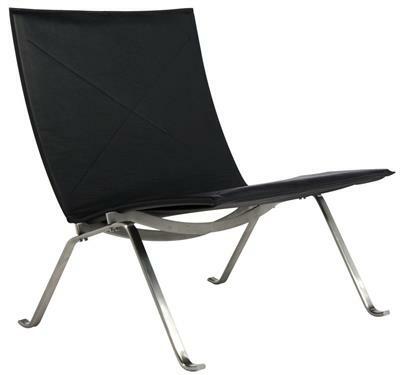 Simple elegance best describes this Kjaerholm design. 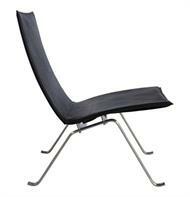 Our PK22 Chair is a classic modern reproduction that was originally designed in 1956 by Poul Kjaerholm. 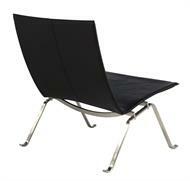 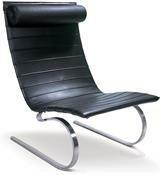 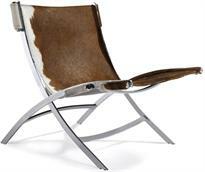 Our PK22 Leather Easy Chair features stainless steel frame and full Italian top-grain leather. Through his disciplined approach, the chair's cantilevered seat is stabilized by a double cross beam that is precisely positioned so the body rests naturally without a hard front edge or top rail. 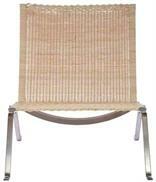 PK22 Chair has a minimalist aesthetic making it an excellent choice for the home as well as commercial spaces.